Seimei Jinjya, the historical shrine is located near to our place. The shrine used to be a house of one of the most famous onmyoji and astronomers, Abe no Seimei (921-1005) during the middle of Heian period. Onmyoji is a specialist of onmyodo, a traditional Japanese cosmology that interpret stars, Ki, or Yin and Yang, and tell fortunes. Abe no Seimei was the most talented onmyoji at Heian period, and the emperor’s family valued and relied on him a lot to govern the country. It is said that his house’s gate automatically opened and closed because of Shikigami, one of the deities employed by onmyoji. 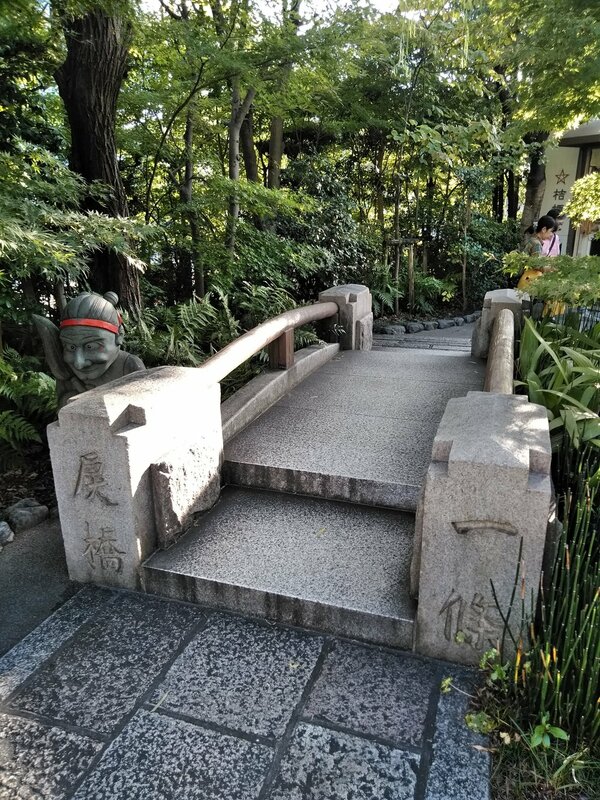 It is also said that Abe no Seimei let his Shikigami live under Ichijyo Modori Bashi, the bridge near his house. This is why there is a part of the bridge inside of the shrine. The bridge’s stone you can see here was used as a part of the bridge from Taishou period to Heisei period (H.7.). You can also see the monument of Shikigami next to it. Later than Heian period, the tea master Sen no Rikyu (1522-1591) lived the same place. He is the most famous tea master in Japanese history, and the founder of tea ceremony and Wabi Sabi. There is spring water inside of the shrine that you can still drink today. It is said that Sen no Rikyu used this water to serve a cup of green tea. He may used this water to serve his tea to Toyotomi Hideyoshi (1537-1598), the samurai that he served. At the end of summer and the beginning of autumn, you can see both purple and white bellflowers here. Bellflowers are one of the famous symbols of Seimei Jinjya in addition to Gobosei, the star symbol of onmyodo. The land of Seimei Jinjya used to be houses of two great historical Japanese, Abe no Seimei and Sen no Rikyu. 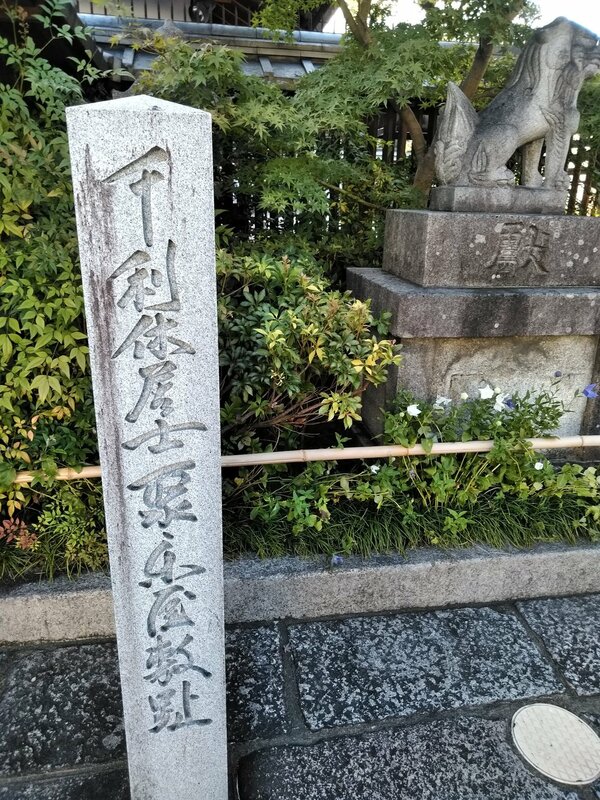 If you are interested in Japanese history, astronomy, fortunetelling or tea ceremony, please visit Seimei Jinjya. You will feel the spirit of Japanese culture here.